I'm not a big fan of top 10 lists, and I would approach this one for hospitals in China with caution. 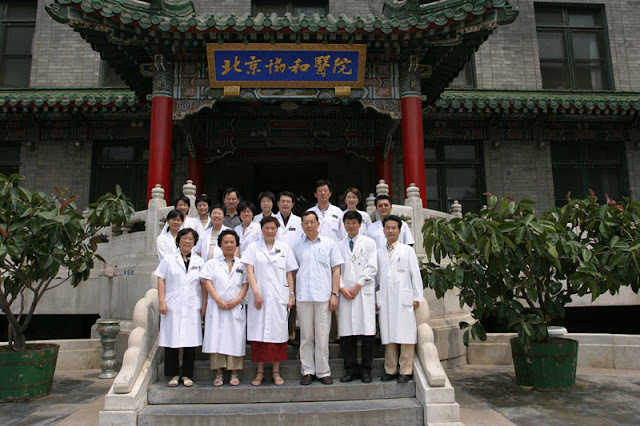 The China 2014 Good Hospital Ranking is produced by the Fudan University Institute of Hospital Management. I'm not quite sure what criteria they use to decide what makes a good hospital but they claim it is based on factors such as clinical competence, scientific research and academic rigour. How they measure that objectively is anyone's guess. The Fudan team also say they consulted many 'national experts' to rank the country's top hospitals. They say the rankings are a good guide to clinical excellence and should be a benchmark that other hospitals strive for. I don't think anyone is going to see any surprises in the list - all the top hospitals are the 'usual suspects' in the major cities such as Shanghai and Beijing and Guangzhou. I'm also not sure what the point of league tables for hospitals is - if you asked me to name the top 10 hospitals in Australia I could tell you quite easily without having to do a ton of homework - just based on location and whether they are teaching hospitals with a good research culture. The rankings actually extend to 100 top hospitals, but I've only listed the top 10 here for brevity. I'm also not sure what the point of doing these survey on an annual basis is - it's not as if hospitals will move up and down the list very much and whether that is significant anyway. Any doctor will tell you that some good hospitals can have very bad departments and vice versa - some hospitals have a good reputation in certain specialities and can be terrible for others. Much of it is down to personalities and medical politics. I can also think of some 'good' hospitals that are over-rated and charge exhorbitant fees based on their reputation and "closed shop" monopoly status.